any day is a good day for gratitude. setting intentions for today and everyday. 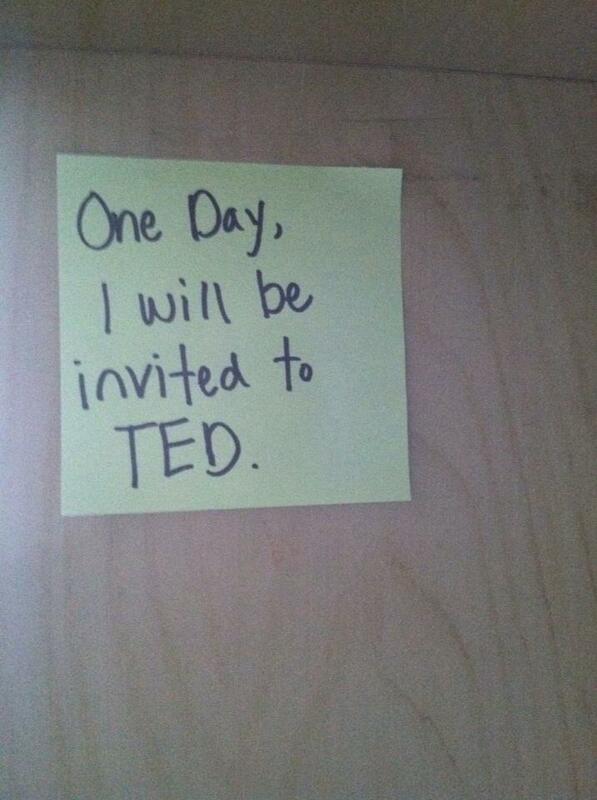 three years ago i put this post-it note on my desk. on that day, i realized why we have dreams. Sameer invited me to come and be a part of his TED talk! okay, so it’s TEDxSiliconAlley, but it is a step in the direction of so many dreams—speaking at TED, dancing with robots, you know, the usual. no small order, but it helps to reaffirm my deep belief that we can all dream big and make those dreams our reality. well, it looks like all it took was a night of getting a few drinks, having great artistic conversation, and pushing myself to go to bed a couple hours later than the jet lag time was allowing—and i am back on my usual sleep schedule. i was enjoying the wack-a-doodle times that the jet lag was making me awake, but i don’t think waking up around 1am or 4am is the kind of thing that one can do regularly and be a functioning member of society (for most intents and purposes anyway).